Hazardous materials are stored in the North Carolina floodplain that need to be moved to a safe location in order to protect community health. 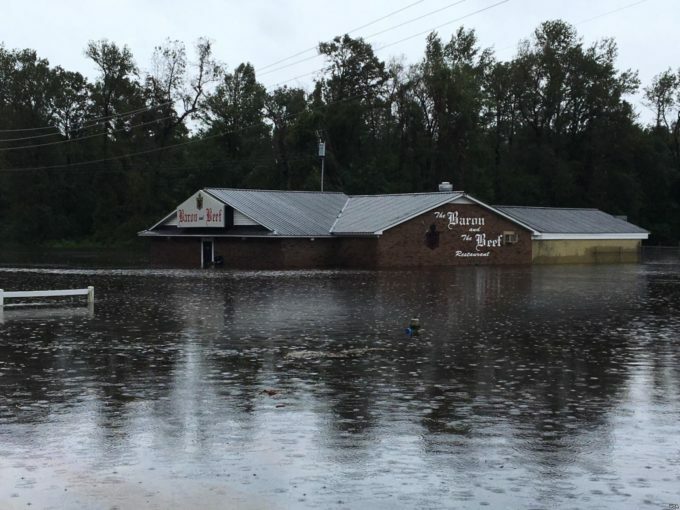 The communities of eastern North Carolina are still reeling in the aftermath of yet another historic amount of rain and flooding than has ever been seen before. Thousands of families are still trying to get back to their homes and communities are pulling together to support each other. The water is finally receding and the support networks of the government and non-profit organizations are on the ground providing help. This story is unfortunately not uncommon to us. 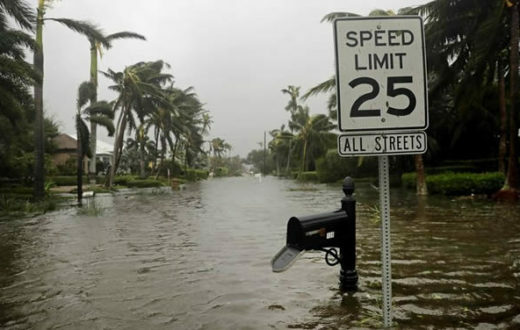 In 2016, Hurricane Matthew dumped 20 inches of rain on the region. 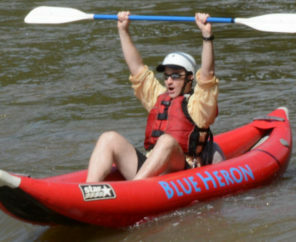 The spring of 2017 saw huge rain events in the piedmont area that turned small creeks into raging torrents of water filling the rivers of eastern North Carolina to the brim and inundating floodplains. The 35+ inches of rain that fell in the area around Elizabethtown, NC during Hurricane Florence is the latest mark and almost rivals the rain falls we saw in Houston during the drenching of Hurricane Maria. These new normals are part of the story of climate change that includes more frequent and violent storms which is clearly our reality now. In 2017, American Rivers listed the Neuse and Cape Fear Rivers as the #7 Most Endangered River due to the threat of industrial farm waste lagoons and piles in the floodplain. North Carolina has over 3,300 hog waste pools and innumerable amount of dry litter piles from poultry operations. Within the 100-year floodplain of the coastal counties there are 62 hog operations and at least 30 poultry operations. The hog operations have 166 open-air waste lagoons directly within the 100-year floodplain, and another 366 within 100 feet of the floodplain. 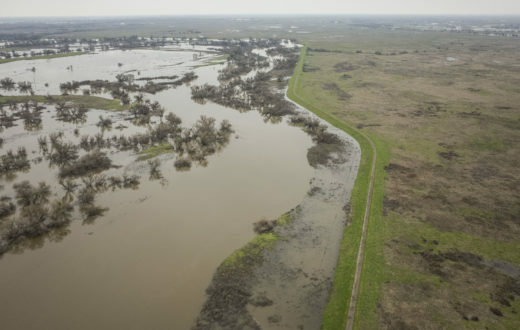 The floodwaters of Hurricane Florence inundated many farm operations, killing the animals and releasing waste into the floodwaters. There is a buyout program for the agricultural facilities that was started after Hurricane Floyd in 1999 and it has been successful when it has been funded. According the N.C. Pork Council more than 330 hog waste lagoons that had been in the floodplain have been closed down and cleaned out through that program. But it is time to move all of this waste out of the floodplain. There is more than just animal operations in the floodplain, there are threats from coal ash ponds, community waste water treatment plants, and industrial operations all sited and sitting in the floodplain. 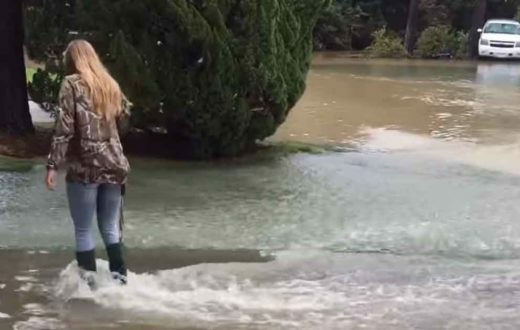 Many were inundated during the overwhelming floods North Carolina saw in the aftermath of Hurricane Florence. 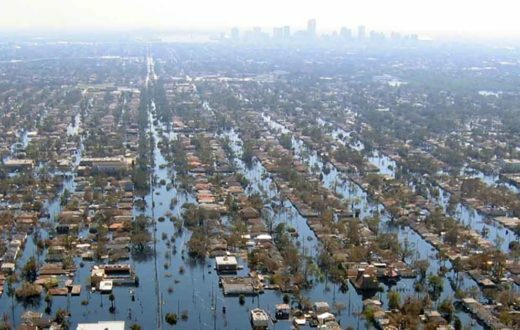 Our new normal requires us to develop a plan to get these threats out of the floodplain so that when the rivers rise and the floodplains fill we don’t add to the threat to communities by creating a toxic surge of water that coats the flooded areas. Has anyone compiled data on the Public Health Threat Costs from these toxins in the NC floodplain? It seems that NC doesn’t think before it plans or allowes hazardous materials to infiltrate or lives. If everybody would stop protecting the liberal government in this state we could make changes. There is a lot of people that care about state government freebees and wages more than their environment. They play into this when elections come around. I am tired of government officials recieving everything free. I have to pay for their lifestyles through state taxes. It is deplorable to have to pay high taxes in retirement!!!! Mean while, we live in toxic wastes and have government that are deep state cronies. If we had socialism in our country, pig waste is going to be the least of your worries😡 vote republician!!! !